Cascade House, located at 2000 Mountain View Dr in Enumclaw, has studio and one bedroom apartments. Cascade House participates in the Section 42 Low-Income Housing Tax Credit (LIHTC) program. Cascade House is accepting applications and does not have a waiting list. 40 studio and one bedroom units. Cascade Place develops individual care plans to meet the needs of each resident, and a full-time registered nurse is available 24 hours a day to provide clinical oversight and coordination of care. The residents of this community engage in a variety of stimulating activities, such as Qigong, arts and crafts, coffee chat, and sports weekends. They offer trips to local shopping, community events, and the senior center. This is a pet-friendly community. 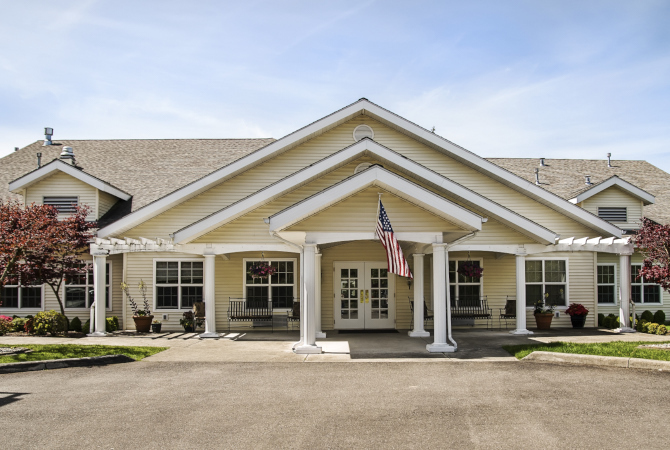 Schedule a visit at the Enumclaw assisted living community today. Cascade House was built in part with financing obtained through the Low Income Housing Tax Credit (LIHTC) program. In addition to providing apartments for low-income households, this property could include some market rate units. Households earning 60% or less of the Area Median Income (AMI) qualify for targeted rental units in LIHTC financed housing. This property may also designate units for renters with even lower incomes, from 60% of AMI down to 30% AMI. It is even possible that all units have been set aside for those with extremely low incomes (as low as 15% of AMI). This means that the same size unit can rent for different amounts based on the income of the renter. Cascade House is managed by Enlivant.